I have always liked Matcha sweets, but after going to Japan, I love them even more, especially when Matcha powder is paired with chocolate. In fact, in Japan you can find a huge variety of chocolates made with Matcha, including famous brands like Kit Kat or Pocky’s… yum! When we were in Kyoto, we fell in love with Malebranche’s Cha no ka (茶の果). They are green tea thin langue de chat cookies filled with white chocolate… they are amazing. 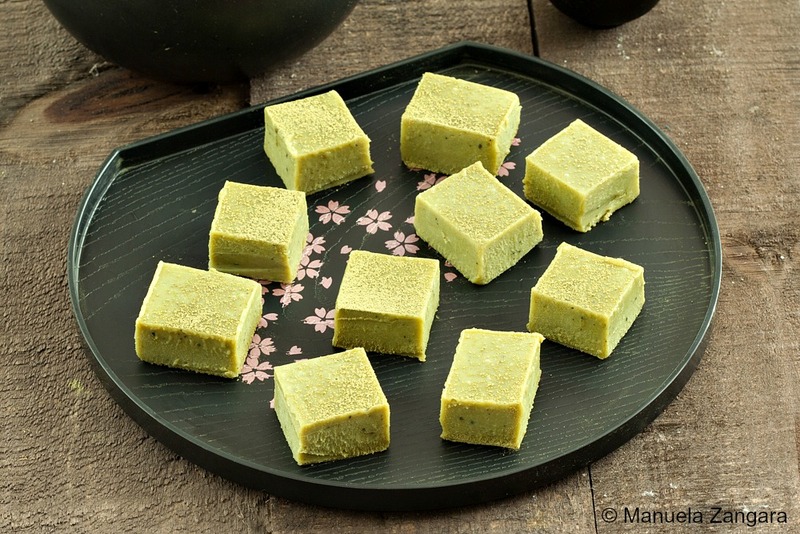 So, when I saw these Matcha Nama Chocolates (抹茶生チョコレート), I knew I had to make them. The name means “melt in your mouth” and that is exactly what they do when you eat them. It’s like white chocolate and green tea fudge and these 2 flavours go so well together: matcha powder has unique bitter taste that perfectly contrasts the sweetness of white chocolate! So the final result is decadent, rich and creamy, yet not overly sweet. If you like green tea, you will LOVE these chocolates! Try them and let me know! 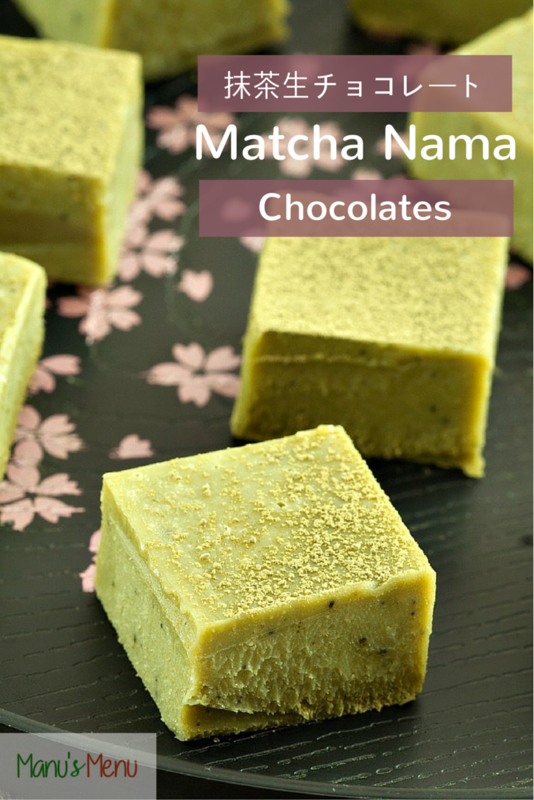 Matcha Nama Chocolates - delicious Japanese white chocolate and green tea fudge-like chocolates that melt in your mouth. Line a 20 x 20 cm - 8" x 8" baking dish with baking paper and keep it aside. Chop the white chocolate and butter into small pieces. Pour the heavy whipping cream into a small saucepan and bring it almost to a boil, then remove from the heat. Add the white chocolate and butter and mix well. 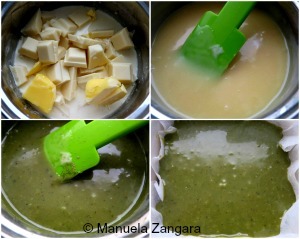 Once the mixture is smooth, add 2 tbsp of green tea powder (matcha) into the mixture. Mix until the color is homogeneous. Pour into the prepared baking dish. Tap the baking dish a few times on the kitchen benchtop to remove any air bubbles and flatten the surface with a rubber spatula, if necessary. Refrigerate for 4 to 5 hours (or overnight). 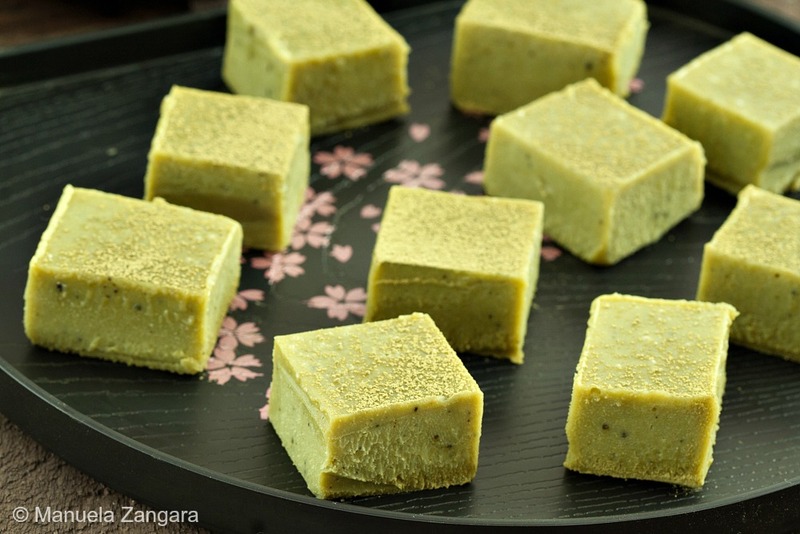 Lift the baking paper to remove the matcha chocolate from the baking dish. Run a sharp knife under hot water to warm up the blade and wipe it dry completely. Slice the chocolate block into 4 blocks and then cut each block into 9 small pieces. Dust 2 tsp of green tea powder (matcha) on top of the chocolates. Store in the fridge and serve chilled. You can keep these chocolates in the fridge for 2 or 3 days. I’ve got a bag of matcha just waiting to be made into these! YUM! 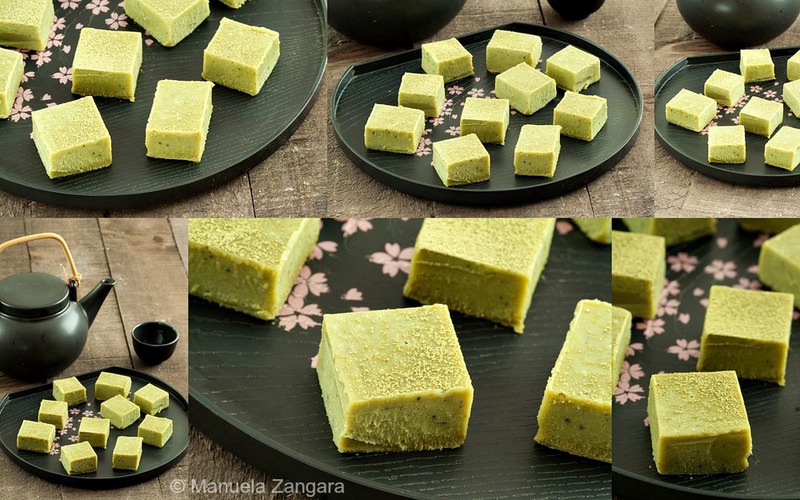 I love Matcha – these sound so very good! I love matcha! These sounds amazing and looks so elegant! So delicious Manu and I love the gorgeous color!